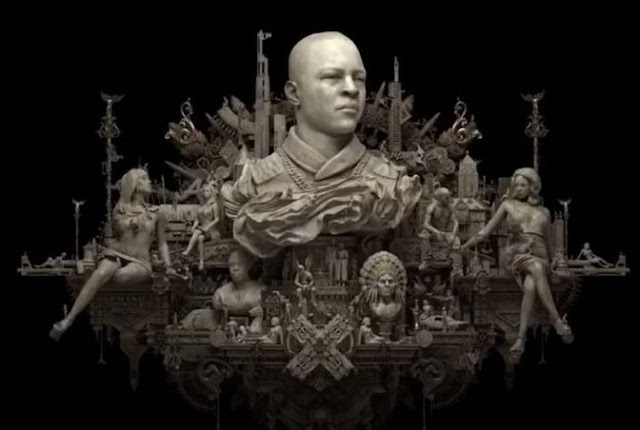 The T.I.P album was release last night and many are now streaming the hold full project. The Dime Trap has been a full anticipating album an which is also acting the as latest album from T.I which and has finally surface this year 2018. We feel no worry about the delay from T.I after he back off from studio just since his last album debut and T.I last project is paperwork which was released during the 2014. It has been a whole lot of years but he is back with a new work with 15 track and which we can't subjected a double disk album. The Dime Trap first get beyond noticeable after T.I feat Meek Mill and Yo Gotti on ‘Jefe and Wraith’ dropping a new video with Meek Mill on JEFE. Well the album is now out after the releasing date appearance on line. While the album was still on wait, at a point T.I then welcome Young Thug in the Dime Trap album called The Weekend just few days the song was released before the releasing of this project. One more thing we should know about T.I new pro work is that the album was disclosed during the 2015 and T.I has said the album is a follow-up to Tip’s 2003 sophomore effort Trap Muzik. The 38 years old MC T previously sit down in an interview with Beats One 1 host Zane Lowe and there he talked about the Dime Trap and also said something about his family.There he also said that this is the first time he is appearing online to talk about or address some issues with his personal life meanwhile he don't normally talk on issues that has to do with his music may be his family. What a strategy of this Dime Trap but we full agree that the album will likely to show as one of the trending project of this year 2018. The project was released with 15 tracks as we said but in the first place, he feat.Sam Hook on a single “Seasons”, T.I the feature,Watch the Duck - Big Ol Drip,Yo Gotti - “Wraith”,Young Thug - “The Weekend”,“The Amazing Mr. F**k Up” - Victoria Monét, “At Least I Know” - Anderson .Paak, “Jefe” - Meek Mill, “More & More” - Jeezy,“Pray for Me” - YFN Lucci, “You” - Teyana Taylor and “Be There” - London Jae. As you can see Dime Trap comes with eleven 11 features which makes it a pretty cool album. So stream and listen to the project below.